Mercedes-Benz is one of the top brands in luxury. 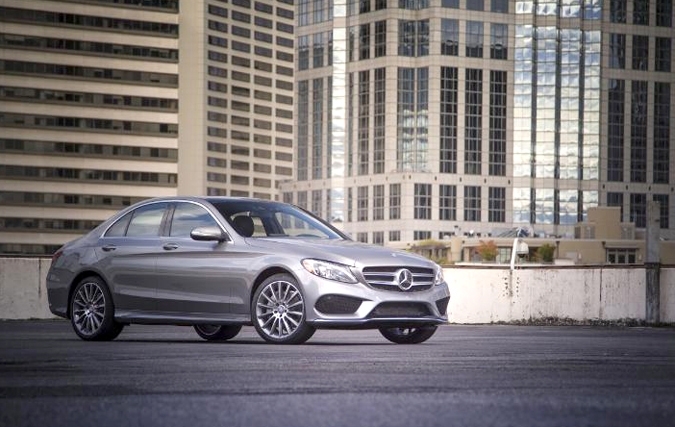 With the introduction of the all-new 2015 C-Class sedan, the automaker has made luxury a little more affordable. The new line of Mercedes-Benz C-Class sedans will start at the unbelievable price of $38,400 for the four-cylinder C300, and $48,590 for the C400 4MATIC sedan. While many manufacturers would skimp on standard options to keep costs down, Mercedes-Benz decided to include features that are available in its higher-end models. In addition borrowing styling cues from its S-Class siblings, the 2015 C-Class sedans also include dual-zone climate control, power seats, a seven-inch infotainment display (with mbrace2™), and Collision Prevention Assist Plus. With the C400, you get additional standard options such as heated front seats, LED headlights, and an upgraded stereo system. Both the 1.8L turbo-4 in the C250 and the 3.5L V-6 engines in the C300 4MATIC and C350 give drivers power when they want it and fuel-efficiency when they need it.